​Sabrina Moella is a writer, a performer, and a filmmaker based in Toronto. Born in France from Congolese parents, she grew up in Paris and started writing as soon as she was old enough to hold a pen. After an undergraduate in Media Studies and another one in African Studies, she started working as a journalist and TV writer in Paris. She received her first screenwriting nod for the short film "Letter to Abou", which was presented at the Cannes Film Festival as part of the "10 shorts against racism" films series in 2000. After earning her Master's Degree in Marketing and Communications from La Sorbonne University, Sabrina decided to move to Canada to pursue a career in the arts. Her work focuses on studying and narrating the everyday life, traditions, and culture of the Afro-Caribbean diaspora. She’s interested in topics such as immigration, womanhood, body image and family lineage. She is bilingual and writes and shoots both in English and in French (with sometimes bits of Lingala or Tshiluba). Her poetry has been featured on various radio shows such as the LA-based show “Words on the Street” and the South African show “Badilisha Poetry”. She’s been published in international literary magazines such as “Freier, Magazin für Befindlichkeit” (Germany) and “Blacknesses Between Us” (Canada). Her films have screened at more than one hundred film festivals across Europe, Canada, Brazil and the US, including the Cannes Film Festival, Toronto International Film Festival (TIFF Student Film Showcase and TIFF Kids International Film Festival), Urbanworld Film Festival, Hollywood Black Film Festival and the Reel World Film Festival. In 2014, she made her Broadway debut with her autobiographical one-woman play “Made in Congo”, which was part of the United Solo Festival. 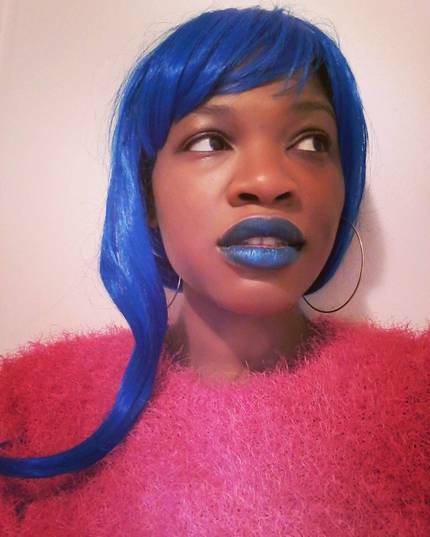 In 2015, she was invited to be a guest artist at the Pan African Space Station during the acclaimed “Beauté Congo” exhibit organized by the Cartier Foundation in Paris In 2016, her second one-woman play “Balconies Are Made For Dreaming” debuted at the Piece of Mine Theatre Festival in Toronto. Sabrina is a yoga practitioner who strongly believes in healing through the arts. She was one of the founding members of “I Get Out”, a collective of black women storytellers from Toronto. When she’s not busy memorizing poetry or directing new short films, she can be found braiding her girlfriends’ hair downtown Toronto or rehearsing awesome soukouss steps in her living room.